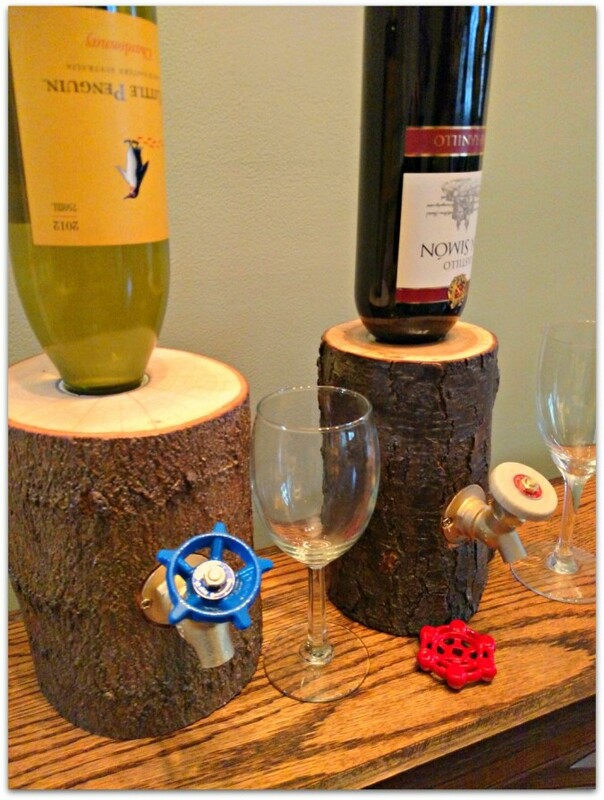 Get the party started with the Log Wine Dispenser. This unique eco-friendly dispenser is handcrafted by a father and son team. Comes with a black metal handle and a handmade wooden handle. Now Shipping SAME DAY or NEXT day! Shipping time from Ohio usually only 1-4 days. With the Log Wine Dispenser you can display your favorite wine and pour with style and ease.Pours a glass of wine in about 8 seconds. Display that fine wine on the bar top instead of the dusty cabinet! This new and improved version allows you to load and unload the bottle if not completely consumed. Also it seals the beverage completely from the bottle to your glass. Smoothly slides to the edge of the bar or countertop to pour a glass. You are purchasing one log wine dispenser without the decorations or the wine.